We check over 450 stores daily and we last saw this product for $187 at Wolf & Badger. 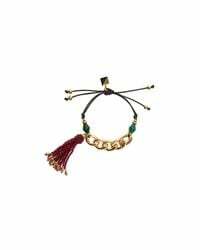 Hand-made 18K Gold plated friendship bracelet with green Agate and fringe made of Jade. Adjustable sliding knot fastening. 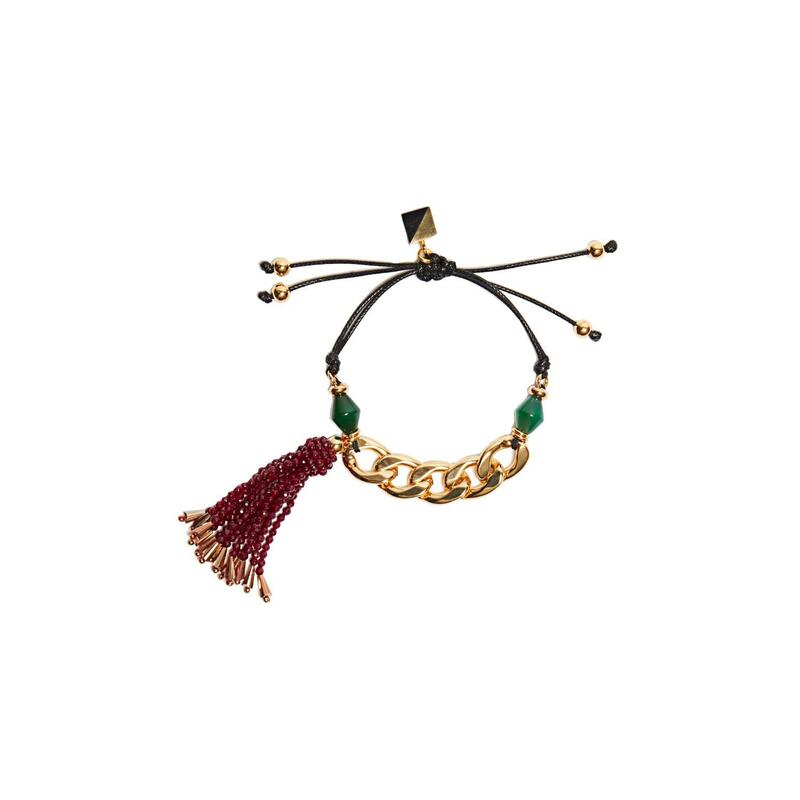 18k Gold Plating, Brass, Green Agate and dyed Jade semi-precious stone, Resin, Cotton, Wax Cord, Zinc Alloy, Iron, Glass, Nylon. Adjustable sliding knot fastening. The piece also features the distinctive Nocturne bi-coloured cube, iconic to the brand. Each piece of Nocturne jewellery is hand-crafted and requires delicate handling. Many factors can influence the condition of your jewellery. Therefore you should make sure that it is properly cleaned, repaired and stored. Take care to avoid extreme humidity or heat as this may cause tarnishing. This will keep them looking their best.